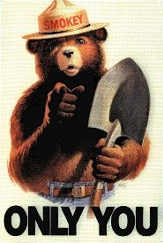 Only YOU can prevent VinnyVideo and Yoshin from making article fires. These articles are due to be deleted unless they're significantly improved and can meet the guidelines of notability, or in the case of files, be given a purpose. Feel free to discuss any issues on these articles'/files' talk pages. Sysops: Make sure you check articles before deleting them - they may have been labeled incorrectly! Pages in category "Articles to be deleted"
Media in category "Articles to be deleted"
This page was last edited on 30 September 2017, at 20:07.